© AFP/Getty Images Hatice Cengiz spoke to Turkish broadcaster in an interview broadcast on Friday. The Washington Post columnist, who left Saudi Arabia for the US last year after growing fearful for his safety in his home country, was killed shortly after arriving to pick up paperwork needed for the couple’s upcoming marriage on 2 October. Cengiz, who waited outside until about 1am on the day that Khashoggi disappeared, said he had been treated well during an initial visit to the consulate the previous week. Riyadh’s varied and changing explanations for what happened to the writer have been met with international outrage, sparking the biggest diplomatic crisis for the kingdom since the 9/11 terrorist attacks and throwing an unwelcome spotlight on newly appointed powerful crown prince, Mohammed bin Salman. 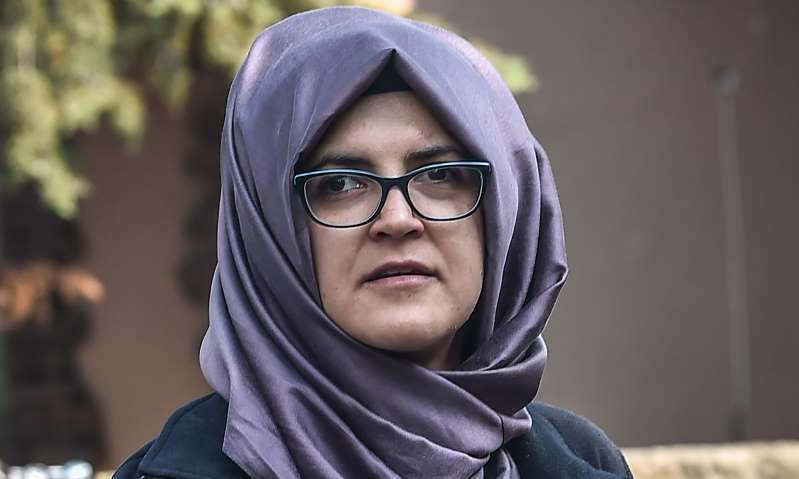 Cengiz, a Turkish academic who became engaged to Khashoggi four months ago, said she has “found myself in a darkness I cannot express,” since her fiance was killed. She had asked US secretary of state Mike Pompeo, who recently called her about the case, whether he had any news that would make her happy, “but he said he didn’t”. Previously, Saudi authorities had said Khashoggi died during a fight with Saudi officials carrying out a rogue extradition operation, and that his body was rolled up in a rug and disposed of by an unidentified third party. His remains have still not been found. Turkish investigators, however, allege Khashoggi was tortured before his death and his body dismembered with a bone saw by a 15-man hit team sent to kill him. Turkish President Recep Tayyip Erdoğan has used the case to exert pressure on his Saudi rival Prince Salman, whom many believe must at a minimum have been aware of the operation, which involved several members of his personal guard and other senior officials. On Friday Erdoğan made fresh demands for Saudi Arabia to disclose the location of Khashoggi’s body and identify who ordered his killing - a sign that Ankara is willing to keep up the pressure on the beleaguered kingdom. Riyadh’s changing accounts of what happened have been “comic”, the president said, calling them “childish statements … not compatible with the seriousness of a nation state”. “Who gave that order? If you want to eliminate the suspicion [about you], the key question is these 18 people,” Erdoğan said. “You know how to make people talk,” he added, in a reference to the powerful Saudi crown prince, Mohammed bin Salman. His pointed remarks come after he spoke to the heir to the Saudi throne for the first time on Wednesday about cooperating in the evolving diplomatic crisis. The same day, Turkish foreign minister Mevlut Cavusoglu spoke on the phone with his US counterpart Mike Pompeo, although Ankara did not comment on the content of the call. Police in Istanbul are now focussing the search for the journalist’s remains on a well in the garden of the nearby consul general’s residence and woodland areas outside the city, but have not made progress so far. Saudi investigators have delayed their Turkish counterparts inquiries several times, notably blocking police from investigating a well on the Saudi consul general’s property.